(Reuters) - Caterpillar Inc (CAT.N) reported a lower quarterly net profit and sales on Thursday due to weakness in mining, slower construction in Brazil and China, and declining orders for oil-related applications, sending its shares lower in premarket trading. The world's largest construction and mining equipment maker reported second-quarter net income of $710 million, or $1.16 per share, down from $999 million, or $1.57 a share a year earlier. Earnings per share excluding restructuring costs were $1.27, meeting analysts' expectations, compared with $1.69 in the same quarter a year earlier. Lower sales volume and weakening currencies including the euro, Japanese yen and Brazilian real led to a decline in second-quarter revenue which fell to $12.3 billion, down 13 percent from $14.2 billion a year earlier. Shares were down nearly 3 percent in premarket trading. The company said the 2015 outlook for profit per share was unchanged at $4.70, or $5.00 excluding restructuring costs. The company expects 2015 revenue of about $49 billion, down $1 billion from its previous forecast, with the downward revision pegged to unfavorable currency exchange rates. "We originally set the $50 billion sales and revenues estimate in January, and our expectations haven’t changed much since then. However, currency impacts from a stronger U.S. dollar are causing sales in many countries to translate into fewer dollars than we initially expected," Chief Executive Doug Oberhelman said in a statement. 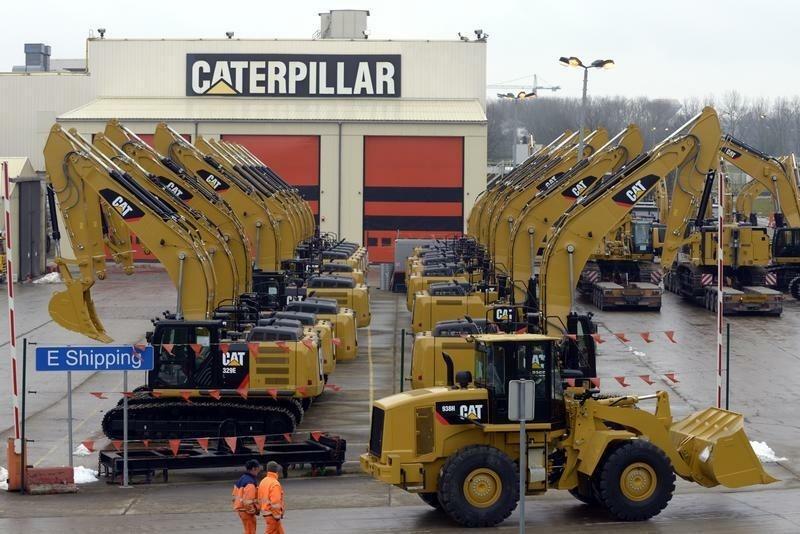 Caterpillar plans to repurchase nearly $1.5 billion of common stock during the third quarter of 2015. "We have a lot of cash on the balance sheet and some of that value should be returned to shareholders," Oberhelman said on CNBC Thursday morning.